ProSource® of Oxnard offers an extensive selection of bathroom remodel products, so remodeling one of the most used rooms in your client’s home can get fun and crafty. We want to help you and your client build the bathroom of their dreams by offering the products to build just that. Bathroom sinks aren’t only functional — they serve a decorative purpose as well. Our bathroom sinks come in standard and unique designs, so your client can make the room as simple or elegant as they please. 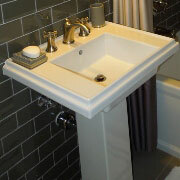 We offer pedestal, vessel, shroud and standard styles of sinks, all varying in colors, shapes and sizes. 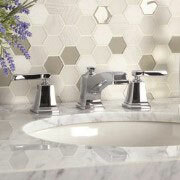 Bathroom faucets are often a tiny detail in your client’s bathroom remodel project, but an important one. Our faucets range in color, materials and handle types, so we can help you find your client a faucet that will work best for their everyday lifestyle. Showers aren’t only a place to clean, but a place to relax and think. A shower remodel that embodies your client’s dream shower is something we want to help you build, by offering shower accessories such as shower heads, handles and faucets. 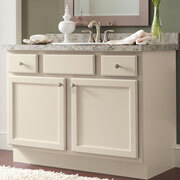 Bathroom vanities are practical and stylish, making them a fun addition to your client’s bathroom. They can save counter space and add storage, and you can also browse our collection with mirrors and lights attached. 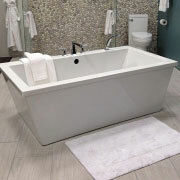 Choosing the right tub for your client can seem tricky, since they come in many different colors, styles and types. Does your client want a stand-alone tub or a shower-tub combo? Do they want marble or stone material, and what type of tub faucet and hardware suits them best? Our team at ProSource of Oxnard can help you with all of those questions and more. 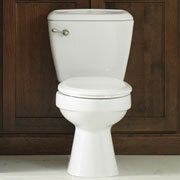 Our toilet selection features standard and unique toilet designs and functions. Since the toilet will likely be a highly used element of your client’s bathroom remodel, let us help you find one that will fit their wants and desires.